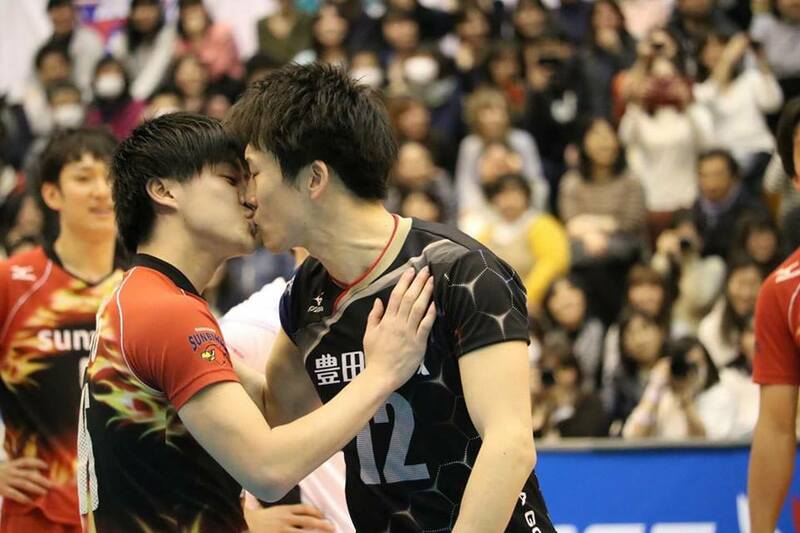 Let these Japanese volley ball players show you how to fight and kiss up. Yu Yamamoto and Takuya Takamatsu got into an argument at a Japan Volleyball League All-Star Game. During the game, Yamamoto and Takamatsu became embroiled in a disagreement over whether one side had fouled. After a bit of push and shove, the athletes found a better way to resolve the dispute.